Arm knitting? Yes, you read it right. 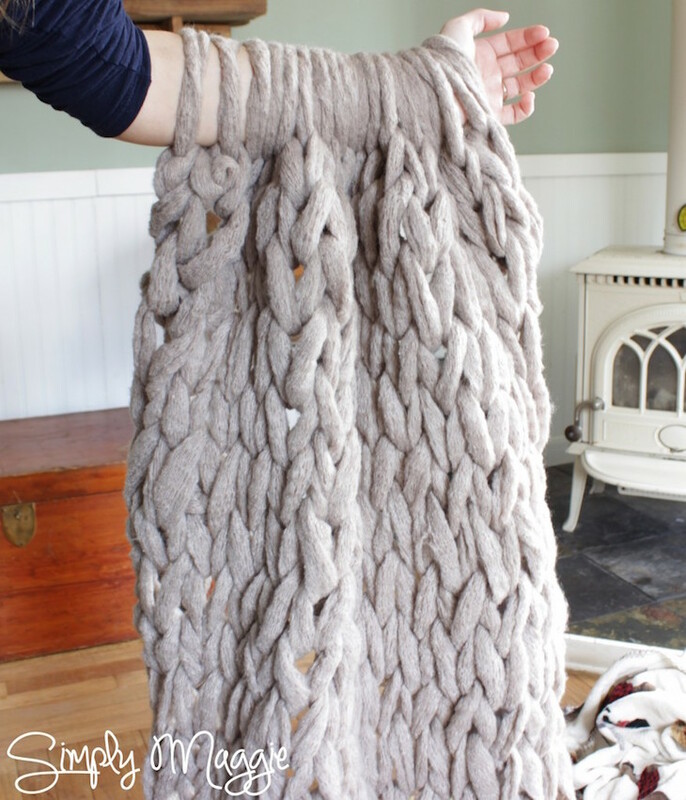 You can actually use your arms to knit anything from blankets to scarves. The only thing you need is soft and big yarn and your hands! First you will need to cast stitches on one of your arms – just like you would do on knitting needles – and then start ‘knitting’. It is so much fun and it also goes quite fast. Just make sure to have sufficient yarn at hand so you don’t have to stop halfway through! An arm knitted blanket or scarf make a unique Christmas gift as well. Create some beautiful and warm winter things with one of our hand-picked tutorials! 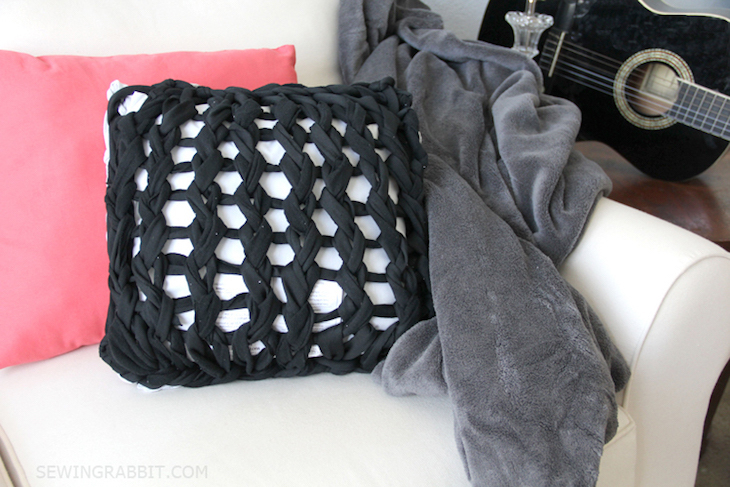 Would you believe that you can create this beautiful blanket in just 45 minutes? Well, we have actually tested the tutorial and managed to finish it in the above mentioned time! The best thing about arm knitting is that you really don’t need anything else apart from your arms – they will be your needles – and some yarn. Follow the step by step video tutorial and learn how to arm knit today! Make this pretty infinity scarf and you will surely get asked many times ‘where did you buy it’. 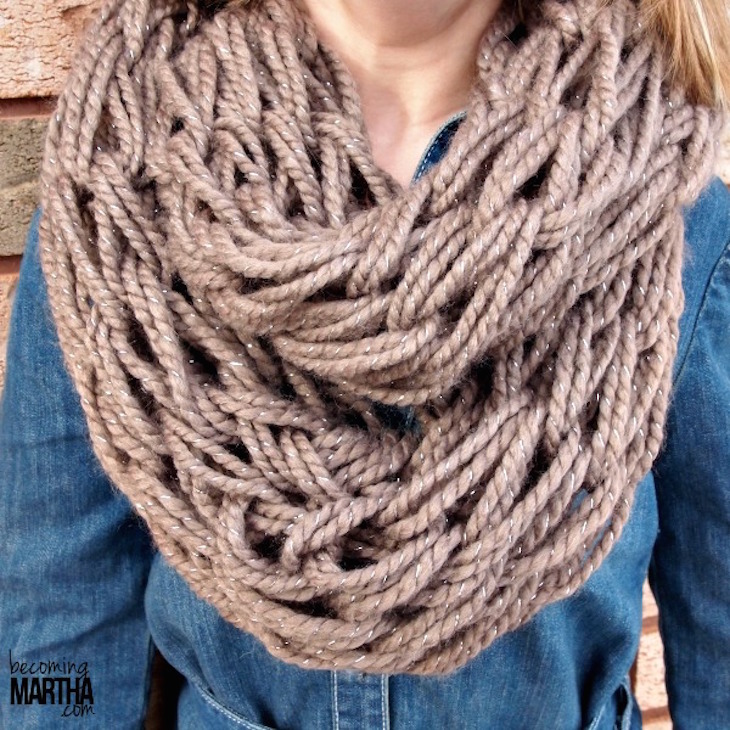 By using your hands you can create big, beautiful, loopy stitches that will get you this super sized chunky infinity scarf. You can create the entire thing in 30 minutes even if you are not an experienced crafty. After the initial cast stitches you just have to repeat the same pattern over and over again. You can create this large blanket in less than one hour! Choose pastel colors that match your interior and start knitting! Shortly you can wrap up in your very own blanket, sipping your favorite hot chocolate on the couch. 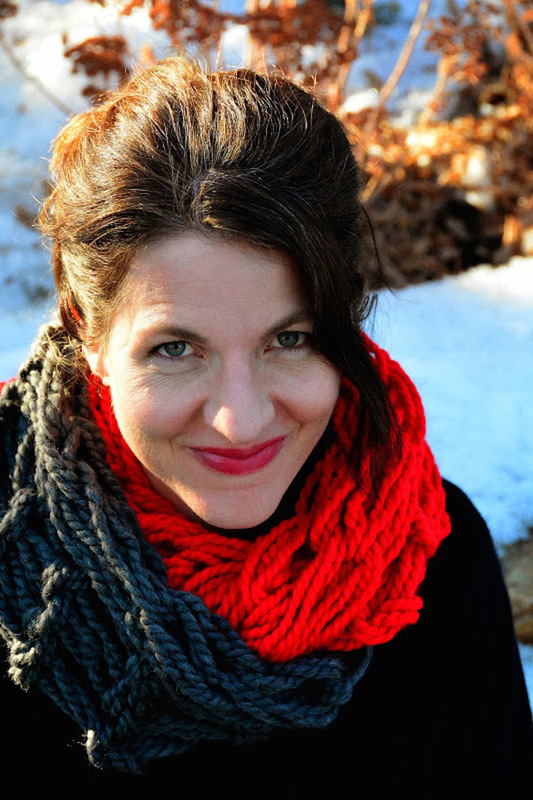 You can create this wonderful cowl even if you have never knitted before. This is a fantastic idea to combine two different colors. Use your favorite neutrals or try some more vivid colors like charcoal and red here. Follow the step-by-step tutorial for detailed instructions. This stylish wrap is a must have accessory for every women. It looks so cool with a plain T-shirt and jeans – a perfect casual outfit for winter! Experiment with mixed colors and different shades and create something unique with just a few skeins of yarn. Arm knitting is really so simple. 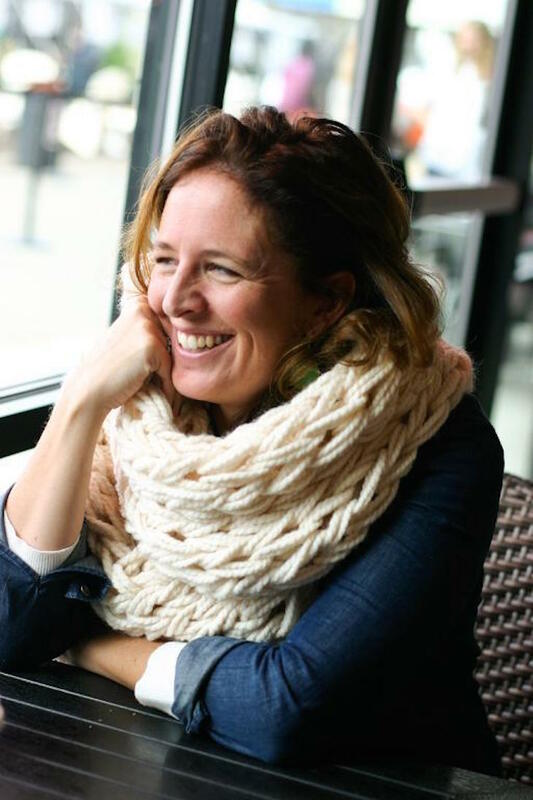 Watch a few video tutorials and you will learn in no time how to create warm bulky scarves. Once you get into the flow of how to arm knit you will love it and your friends will love it as well. Probably you will find yourself soon making cowls and scarves for this Christmas. This Arm Knit Necklace is really unique. Use your creativity and experiment with different shades or even other yarns to create a different look. 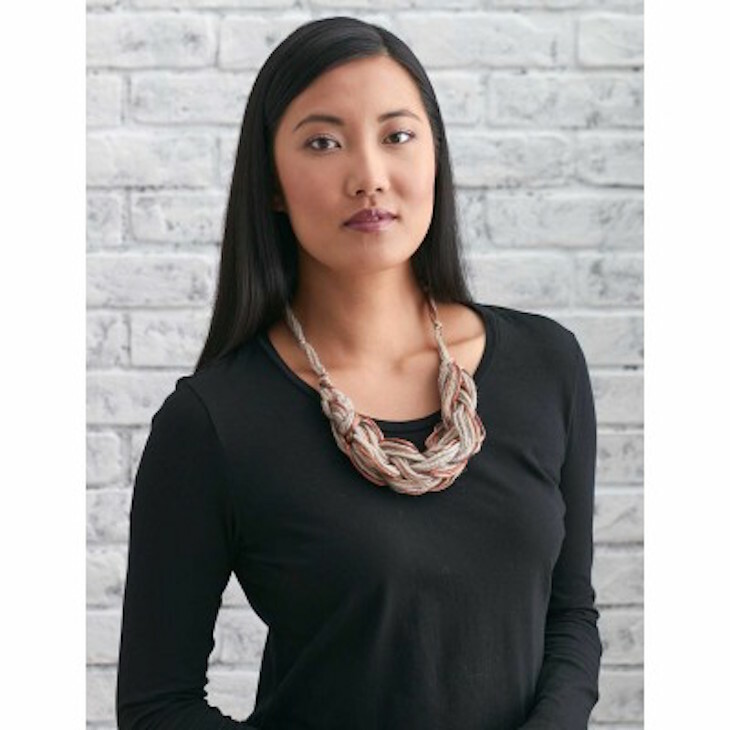 This quick and easy necklace is the perfect accessory for the winter months. 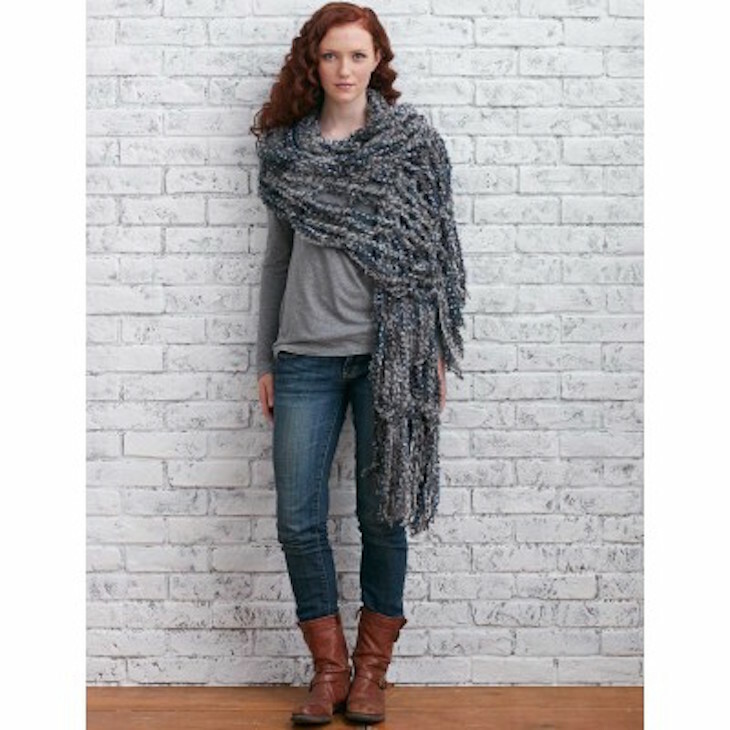 Here is a versatile wrap that you can wear as a cowl or as a wrap thanks to the cute button. It is so easy to make it in a very little time. Pick your favorite bulky yarn – you will have to work with three strands of it – and buy a pretty large button. You will love this project, it’s so simple and fast to make. 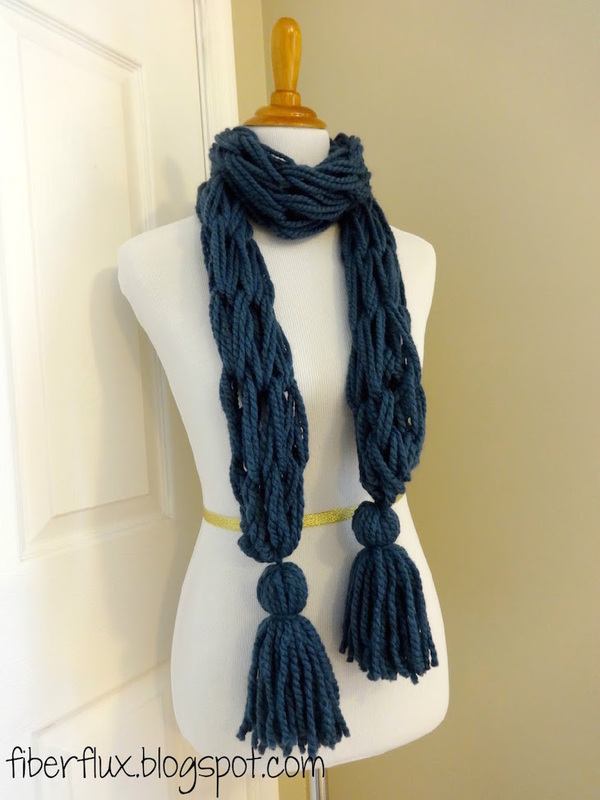 This tassel scarf is a modern and pretty accessory of any wardrobes. This is a great beginning project to start arm knitting with. You will need two skeins of yarn, scissors and your arms! Arm knit pillows and blankets are perfect for home decor. You can create this pillow within one hour and you don’t need to be an experienced knitter! Use fluffy thick yarn for a wintery design, it will give a warm look to your home, exactly what you need these cold months.